CHICAGO, Feb. 20, 2019 /PRNewswire/ -- Experiencing rapid growth, lead pharma marketing agency closerlook, inc., has recently added Chris Abtahi as VP, managing director. As a member of the agency's executive team, Abtahi brings a combination of distinct market expertise and strategic leadership capabilities. "Chris Abtahi reflects our commitment to recruit forward-thinking individuals with experience in delivering best-in-class products and strategy," announced CEO David Ormesher. "He is a seasoned executive who understands the importance of tech-driven solutions to advance brands." With more than 15 years working in various leadership and business positions, Abtahi brings a unique perspective, having worked with providers, health systems and payers. As a life science adviser to clients, he has counseled stakeholders who have faced unique commercial challenges and delivered innovative solutions that address their distinct needs. At closerlook, Abtahi will utilize his commercial knowledge, including managed markets and multichannel marketing expertise, to elevate brands and drive innovation. 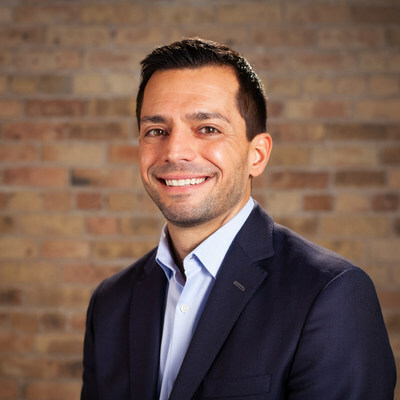 Prior to joining closerlook, Abtahi was executive director at Outcome Health, a point of care provider that connects life science providers and patients to facilitate better patient outcomes. He was the executive vice president and Midwest practice lead at The Access Group agency, a leading managed care services provider. Abtahi also worked for pharmaceutical company Eli Lilly for eight years in various roles, including serving as a manager in its managed market division. "Chris is a phenomenal addition to our team," said Allison Davis, chief client officer for closerlook. "As more biopharma companies transition their marketing to a digital-first approach that addresses all stakeholder audiences, his deep understanding of the brand marketing spectrum will be invaluable to those seeking a digital firm as their lead agency." Abtahi received his undergraduate degrees at Missouri State University in Springfield and his master's in business at Northwestern University Kellogg School of Management in Evanston, Ill. Established in 1987, closerlook is a new type of lead agency that combines biopharma brand marketing, digital marketing and marketing analytics to help biopharmaceutical companies promote new therapies that improve the lives of patients and those who care for them. With offices in Chicago and New York, closerlook has won multiple awards for its unique ability to create engagement and foster loyalty through strategy, design, development and execution of responsive campaigns. For more information, contact 312-640-3700 or visit closerlook.com.